I’m not a big fan of taking pictures directly into strong sunlight and I certainly don’t enjoy the flare that the sun creates when you do so. I see a lot of that style of wedding photography these days, often executed...poorly...by photographers that think it is artistic. Usually it fails miserably and results in photographs that are overexposed, have very little detail or contrast and are overwhelmed by the intense sunlight in the background. It breaks all the rules of creating an acceptable photograph.All that being said I must add that rules were made to be broken for art’s sake...if you understood the rules to begin with. Having garnered more than 30 years experience as a Long Island, New York, NYC wedding photographer I’d like to think I have a pretty good handle on the elements that make up a beautiful wedding portrait. This image represents the one and only time that I consciously broke the rules because I knew a phenomenal image would result...not a weak, washed out lame one.We were in the perfect place at the perfect time...the sun low in the sky shining through the colorful autumn leaves in the distance. I had the perfect bride...beautiful and elegant. I had my assistant draw the bride’s veil out in front of her and hold it in place while I had her maid of honor do the same thing behind her. I shot directly into the sun...a "no no" to be sure, but intentionally overexposed the image so that the bride’s face would not go into silhouette. The result is the soft, pastel image you are looking at here.Like I said before: rules are made to be broken, so long as you know what the rules are, how you are breaking them and why you are breaking them. The professional photography community agreed with me. 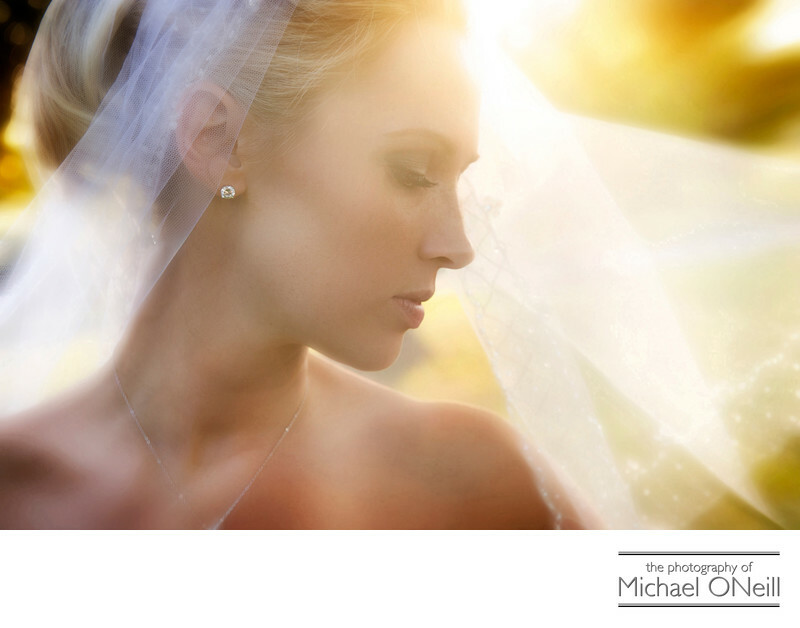 This image garnered an Accolade of Excellence in the WPPI (Wedding and Portrait Photographers International) print, album and filmmaking competition held annually in Las Vegas, Nevada. Hope you enjoy it as much as the judges did. After creating this photograph at Argyle Lake Park in Babylon, NY we went on to the Venetian Yacht Club, the awesome waterfront catering venue on The Great South Bay for the couple’s amazing wedding reception.